Everybody knows “that person”. 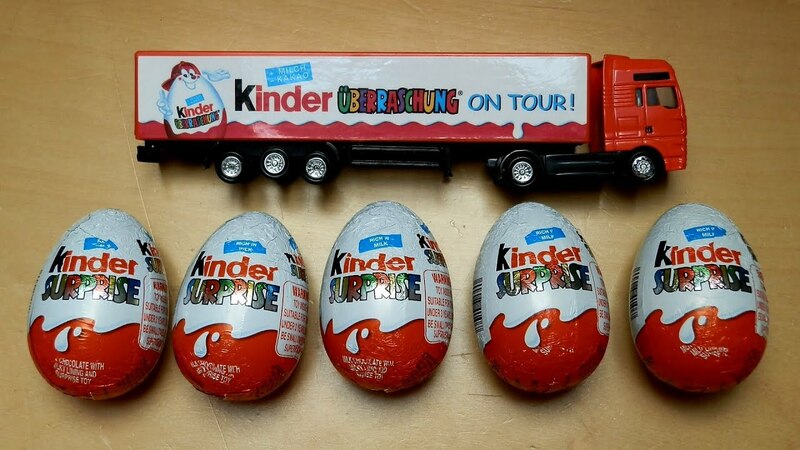 These are the people that got Kinder Eggs banned from the USA, because they were dumb enough to completely miss the entire point of Kinder eggs and, in the gluttonous haste to scarf down chocolate, choke on the toy inside. Even if you’re blissfully unaware of anyone fitting this description at present in your life, you can at least remember it from your school days, because there is always “that person” in school. You know, the one who caused so many problems with having [insert random item] in class that now NOBODY is allowed to have them? Or the one that verbally diatribes about how easy everything is for them and how they’re so smart and could really use a challenge for a change . . . so the teacher makes the test 200% harder for the entire class? Operating from a place of self-aggrandizement and absorption, these people (left unchecked) can have a terrible impact upon the world around them, skewing the image of any group to which they ascribe. 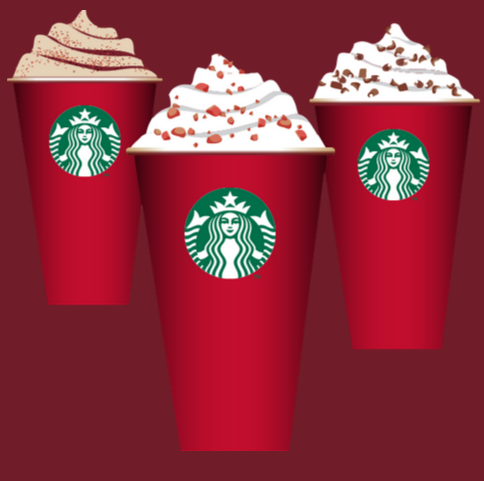 To my utter dismay, there is a group of self-proclaimed “evangelical Christians” currently acting as Exhibit A of What It Means To Be “That Person” directly in the public eye, as they raise their voices in consternation at the removal of a semi-religious symbol/words from this holiday-season’s Starbucks cup design. How is it that this silly cup-business, of all things, is the story listed among CNN’s top news links about what “Christians” are doing in this world? What a horrible testament to the God they claim to serve. I am so disappointed at the level of attention being brought to their petulance, not only because their behavior reflects negatively on other followers of Christ, but because they have the audacity to claim that a quintessential First-World-Problem complaint is of import to their faith. In claiming outrage about such meaningless trivialities, these “Christians” are taking the life and teachings of Jesus Christ and warping them beyond recognition through the fire of self-involved entitlement until they resemble nothing but the pretext for an embarrassingly bratty temper-tantrum. While there are people who have been – and continue to be – persecuted mightily for their faith, these abrasively vocal Starbucks customers are not among them. I feel like this situation calls for an awkward parody of Matthew 7:5. . . You hypocrites! First evaluate the glaring lack of Christ in your actions, and then perhaps you can think clearly to evaluate the removal of vaguely christian symbols from your red cup. Jesus came to earth to proclaim good news for the poor, freedom for prisoners, recovery of sight for the blind, and freedom from oppression (Luke 4)! Jesus lived and died to fulfill his promises and renew our ability to be in authentic and legitimate relationship with Him. Everything in the entire narrative of the Bible points to a God who is desperate to reconcile his beloved people to himself and redeem a world that is tragically lost (Luke 19) in order to MAXIMIZE our joy (John 10). If you even BEGIN to truly understand the gospel texts, you cannot deny the beauty and magnitude of a love that could motivate an all-powerful God to sacrifice himself on behalf of his creation. I don’t claim to know everything that there is to know about faith or Christianity, but the more I study and seek and research, the more I see that focusing on oneself is the antithesis of the truly Christian walk. Jesus was ALL about social justice and transformational love. When you lose sight of this, you make God’s beauty and goodness into something self-serving and miss the entire point. Rather than seeing the love, redemption, service, and sacrifice of Jesus Christ and being motivated in turn to emulate him, people are choosing to insert him into their identity like they would slide a membership card into their wallets. Instead of seeking to be transformed into His likeness, they add distorted fragments of their perception of Him to their own likenesses and cross their fingers in hopes of club benefits. These are the people that completely miss the mark. These are the people that care about Starbucks’ branding choices more than they care about the person handing them their drink. Rather than simply proclaiming my disgust and throwing my two cents into the online dialogue around this absurd social-media-spotlighted topic, I want to challenge myself and anyone who reads this (Christian or not, although I guess especially those who profess belief in Jesus), to talk more about issues that really DO matter. There are enough tragic needs in this world that it is shocking that people are collectively taking the time to talk extensively about some company’s seasonal branding decisions. If anything, the sheer breadth of online dialogue has reminded me that human beings (whether they are “religious” or not) often spend their time and talk unwisely (myself very much included). In the same world where Starbucks’ new seasonal cups are solid red, hunger is the number one cause of death (x). Poverty is rampant; and while I personally spent $2.89 on my (relatively cheap) Starbucks coffee this morning, more than 1.3 billion people are living on less than $1.25 a day (x). When I pulled off the highway last night and walked my five-year-old niece into Starbucks to buy a bottle of water and use the restroom, I did not even think about the fact that over 750 million people lack access to clean drinking water (x) or that about 1 out of every 5 deaths of children under the age of 5 worldwide is due to a water-related disease from lack of proper sanitation (x). Rather than seeing some stupid branding decision splashed across our computer screens, imagine seeing ways to mobilize to make differences (even small ones) in these areas of need. After processing my initial frustration towards the Red Cup Radicals, it is with an uncomfortable amount of conviction that I turn the microscope back on myself to evaluate the areas where I allow (or don’t allow) my faith in Jesus Christ to actively motivate my engagement with the world around me. Tonight I plan to do some more hard thinking about what things might be my proverbial “red cups”, the elements of my life that demonstrate focus that has moved away from the beautiful glory of a sovereign God and towards selfish pursuits. It is uncomfortable to realize that I can be perhaps just as wrongly focused as these face-palm-inducing Starbucks boycotters. So, here is my reminder to myself, and you, if you choose to take it. Maybe we (Christians) have a hard time consistently recognizing and remembering the point of our faith, but it is not (now or EVER) supposed to be a personal ego-booster or a step-stool for our pride. Christianity, real Christianity, is an I.V. drip of pure adrenaline-like faith that should propel us into joyful motion in the humble service, care, and love of others.